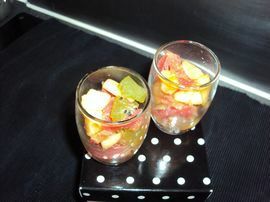 A Fruits salad is really tasty and healthy for finishing a meal. That can be a nice match with a cake. 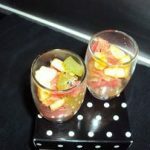 How to make Fruits soup glass? Put it in a fridge 2 hours before eating.